Haunted Money Hugs is a fun way for Grandparents to give their grandkids a little holiday cash. 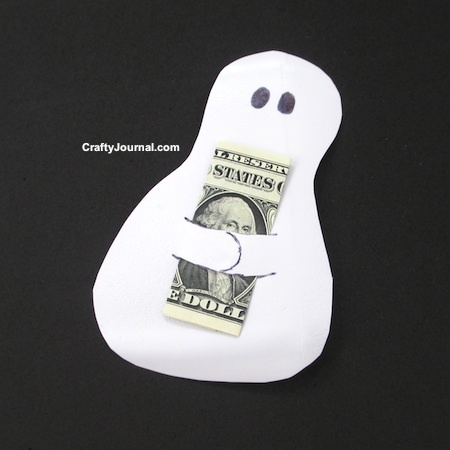 If you live far away from your grandkids, Haunted Money Hugs will fit easily in a card size envelope, along with a Halloween card. 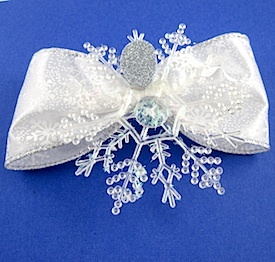 Or use it for a gift for a teacher, Mom, friend, or secret pal. 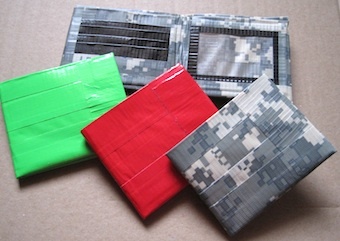 Kids would love receiving a dollar bill this way as a Halloween party favor. What a great, fun way to recycle your milk jugs! How to Make Haunted Money Hugs. Fold the dollar bill first so you can check it against the ghost for size and placement of arms and eyes. 1. Cut out 1 side of a clean milk jug. 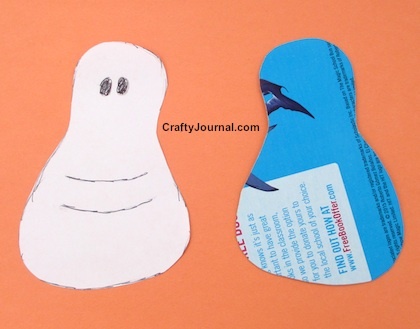 Trace around the milk jug side on a piece of paper so you will have an idea of how to fit the ghost on the pattern. My ghost is about 5 inches high, and 3 1/2 inches wide across the bottom. 2. Ghosts can be made into interesting shapes, and all you need to remember is to leave a place on the lower 2/3 of the ghost large enough to hold a folded dollar bill. Draw your ghost pattern on the paper. Cut it out. 3. 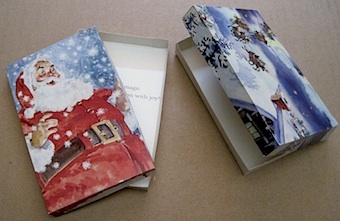 To make a sturdy pattern, trace the paper pattern onto cardboard. 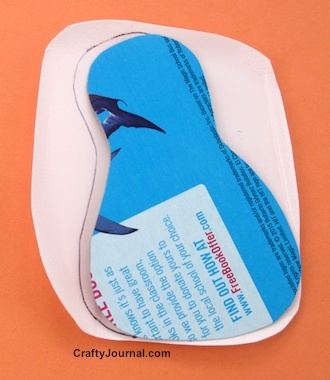 Trace the cardboard pattern onto the milk jug side with a Sharpie. 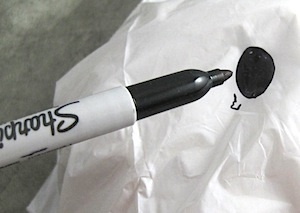 Don’t worry about making mistakes with the Sharpie. It is easily removed with alcohol on a paper towel. Cut out the ghost. You can just use regular craft scissors to cut the plastic. 4. Draw 2 curved lines about 1/2 an inch apart, on the ghost where his arms will be. The slits need to be just slightly longer than the width of the dollar bill. Be careful to leave about 1/2 inch between the ends of the lines and the ghost’s sides uncut. Draw a curved line for the ghost’s hand about midway along its arm. 6. Place the folded dollar bill how you want it in the slits. I like to have George’s eyes peeking out over the top of the ghost’s arms. Draw 2 ghostly eyes with the Sharpie above it. Be sure an adult supervises kids when cutting is done. 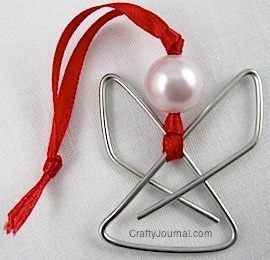 You could also use white craft foam or card stock to make the ghost. This has to be one of the cutest things I have ever seen and it’s a great idea for kids who have birthdays around Halloween like my nephew! I’d love for you to share this at our Wake Up Wednesday link party that is going on now until Friday! This is a very cute idea. It has to be the cutest idea I have seen all day. I am hosting a link up over on my blog too if you would like to post this link. Have a great day and Thank you for the inspiration. So cute! And now I know that I love ghosts…when they come with money! lol! These are absolutely adorable! I love these ghost hugs! I think these would look cute with a piece of candy or lollipops in them too! Thank you for linking up with us at the Tips and Tricks Link Party! I hope to see you there this week!